What is exactly the Archery Tag? Another crazy extreme sport will make happy the adrenaline addicts and lovers of tactical team sports: it’s safe to do without a risk of injury, because the ends of the arrows used in combat are dimmed with foam pads. 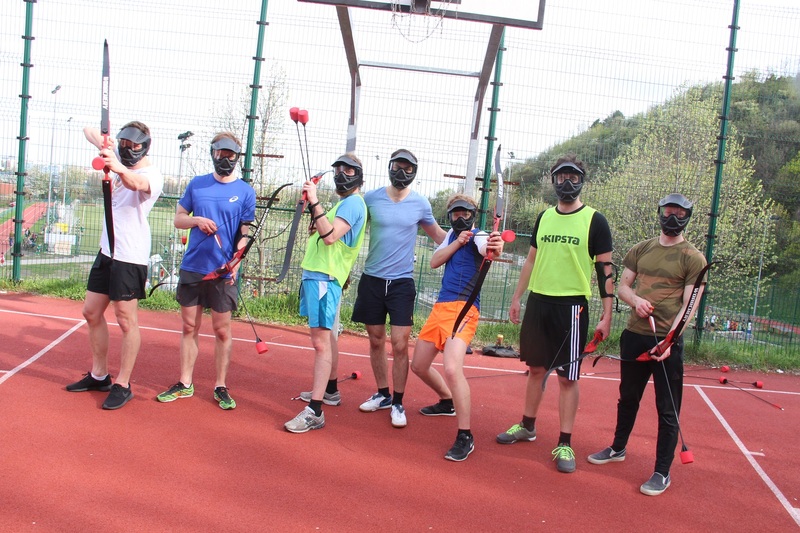 The Archery Tag is a kind of combination of paintball and the movie “The Hunger Games”: you have to hunt down each other in teams on two field-levels and overcrowded tracks. You can choose from a variety of game modes depending on how large your company is, how much you want to get tired, or that “massacre” or tactics are closer to your heart. Catch the opponent’s arrow in the air, shoot and dive, cover each other, shoot the arrows on the enemy, be the only survivor. You can choose between our classic Archery Tag tracks and our exciting Paintball-type trails for this game. While the former is based on customary rules of the game, the latter can be used to play archery according to the general Paintball patterns. Selbst als Zuseher kann man sich kaum halten, so witzig ist diese ĄSportartď. Selbst ausprobieren ist beim nšchsten Besuch fast schon ein ĄMussď! Awesome way to let out stress and beat out everything out of your friends or colleagues. David was great and gave us water and beer. Petit sťjour a 8 Super organisateur super cool a fair entre amis de bonne rigolade !!! La partie dure 1h!! Best place in Budapest. Njoyed fully the 60 minutes. Really nice facility and it gives free beers. Highly Recommend this activity for a group..